hardware-basedcategories, encompassing all possible situations, with numerous practical examples provided in allthree categories; the presentation of complete designs, with detailed VHDL and SystemVerilog codes,comments, and simulation results, all tested in FPGA devices; and exercise examples, all of whichcan be synthesized, simulated, and physically implemented in FPGA boards. Additional material isavailable on the book's Website. Designing a state machine in hardware is morecomplex than designing it in software. 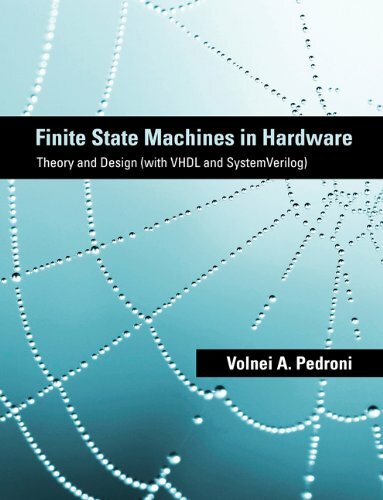 Although interest in hardware for finite state machines hasgrown dramatically in recent years, there is no comprehensive treatment of the subject. This bookoffers the most detailed coverage of finite state machines available. It will be essential forindustrial designers of digital systems and for students of electrical engineering and computerscience.